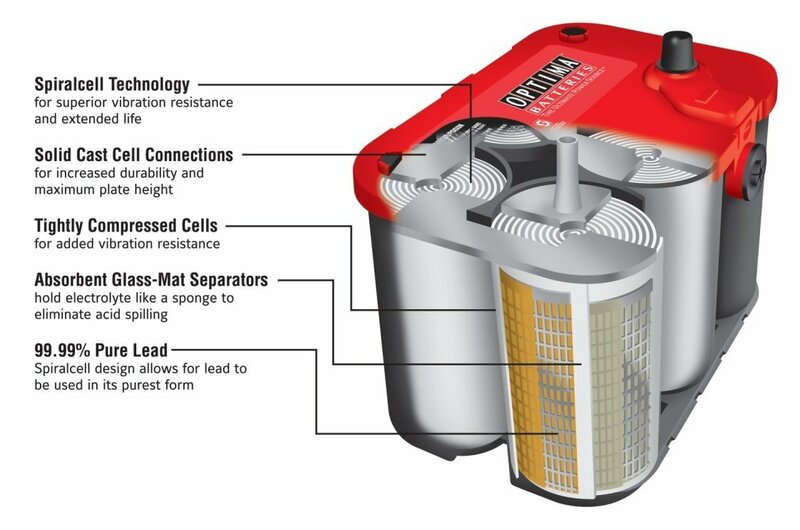 The OPTIMA® RedTop® high-performance AGM battery is the ultimate high-CCA starting battery is designed to deliver the strongest 5-second ignition power for a reliable start-up every time. The RedTop will outperform and outlast traditional batteries in demanding cranking/starting applications. With unparalleled high power delivery and extreme resistance to the most common causes of battery failure, the RedTop is idea for trucks, SUV's, luxury cars, hot rods, off-road vehicles and other applications that require a leak-proof starting-only battery. Need more Optima OPT-35? We offer great discounts on quantity orders and FREE SHIPPING offers are available.